CARLSBAD, CALIFORNIA – Demonstrating its commitment to provide residential installers with a complete range of ELAN-branded AV solutions, Nortek Security & Control (NSC) today announced that it is now shipping its new line of ELAN® architectural speakers. 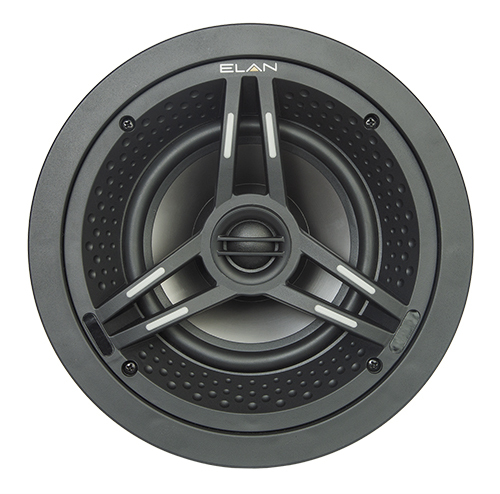 The new ELAN speakers deliver exceptional entertainment experiences for systems of all sizes. The line launched with fifteen new in-ceiling and in-wall models, from the entry level 400 Series, to the whole home multi-purpose 600 Series, to the high performance distributed audio and home theater of the 800 Series. ELAN, from Nortek Security & Control, develops an award-winning line of whole-house entertainment and control solutions distributed through a comprehensive channel of select dealers throughout the United States, Canada, and countries worldwide. The ELAN 8 update was honored with the “2017 Human Interface Product of the Year” award and continues to expand its intuitive functionality with security, climate, surveillance and video distribution products and integrations.